I can typically tell within the first few minutes. Family members want to engage Mom, Dad or their spouse when they see their memory or cognitive function failing. They reach out to us for assistance. One of my first questions is “are they motivated?” It is extremely difficult to help someone who does not want assistance or isn’t motivated to make a change, whether it’s memory wellness or anything else in life. However, someone who has an inner drive to change behavior or achieve a goal can very easily thrive with additional education and opportunities to engage. Think of elite professional athletes able to block out the noise of thousands of fans to concentrate on the task at hand. Or an engaged scientist who ignores hunger pains to finish an experiment. We do this when we focus very intently driving on an icy road because we are motivated to avoid an accident. I see this time and again in my own life and the lives of our clients. 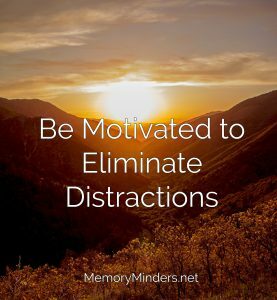 How much motivation we have for any given task will correlate to how much we are able to block out distractions and focus on the task at hand. This is not to say people with memory issues lack motivation. Many desire to improve their memory and cognitive function, but are unsure how to do it. 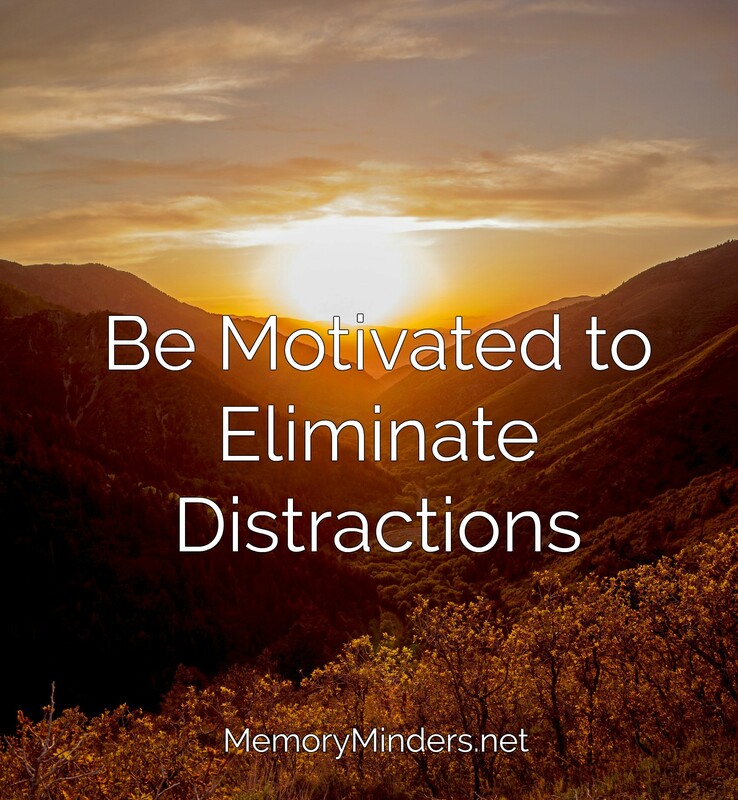 MemoryMinders’ mission is to provide various options and services to assist those motivated to engage their mind and memory for a better quality of life. But even those initially unmotivated can often benefit with increased awareness and engagement. How strong our intrinsic motivation is toward a task or goal is a key indicator of our ability to focus, as this study demonstrates. If you need to be less distracted in life, seek out and understand your internal motivation. Then pursue it without distraction to accomplish the tasks needed for your mind, memory and overall wellness.